This week we will be looking at Luke 1:5-25, the account of Zechariah and Elizabeth and the birth of their son, John. So many things needed to fall into place in preparation for the coming of the Messiah. God carefully arranged the timing, the people, and the world for His entrance. God’s plans can never be thwarted. As Paul reminds us in Colossians 1:17, “In him all things hold together.” The baby in Bethlehem was born to rescue us — joy to the world! 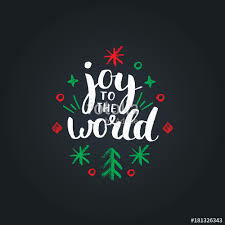 He will come again — joy to the world! He holds it all together — joy to the world!